Last month, I started a monthly series on upcoming books I am excited about. I am not sure where January went but it seems that it is time for February's list already! I have read so little this month that I was afraid to look ahead --the last thing I need right now is to add more books to my TBR pile! But, there are some books that you just MUST have! These are upcoming books that are MUST-HAVES for me in February! 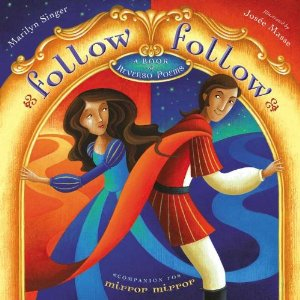 Follow Follow: A Book of Reverso Poems by Marilyn Singer is a follow-up to one of my favorite books, Mirror Mirror: A Book of Reversible Verse . Both of these books are filled with Fairy Tale "reverso" poems. They are fun reads and I continue to be amazed at what the process of writing reversos is. So excited about this second round of reversos from Singer! 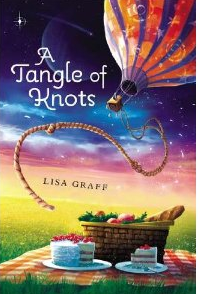 Lisa Graff is one of my favorite middle grade authors. I was thrilled to discover that she has a new book coming out in February called A Tangle of Knots . If you don't know Lisa Graff, you will definitely want to read The Thing About Georgie , Umbrella Summer and The Life and Crimes of Bernetta Wallflower . Becoming Babe Ruth coming in February. I love author, Matt Tavares and from what I've read this is a great and well-researched story. I am always paying attention to good, upcoming YA (even though I don't get a chance to read nearly as much as I'd like to!). But the book I have on my list to remember about in February is Pivot Point . Love the whole concept and the issues around the choices we make. 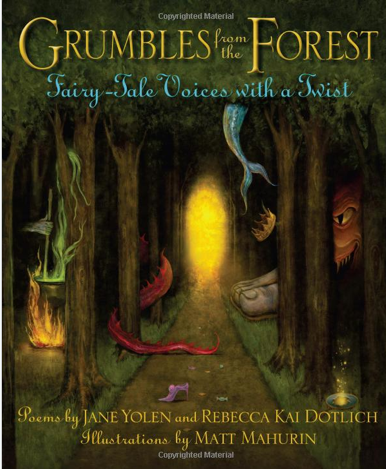 And finally, a March 1 release (but close enough to February that I thought I'd include it here is Grumbles from the Forest: Fairy-Tale Voices with a Twist by Jane Yolen and Rebecca Kai Dotlich. I love anything fairy tale but this one looks especially fun. First of all, I am excited that Jane Yolen and Rebecaa Kai Dotlich worked together on this one. Love those two! Secondly, I love the idea of hearing the voices of fairy tale characters in poem form. I am VERY excited about this one! I love to add new wordless books to my collection so I was very excited to get this new book Flora and the Flamingo by Molly Idle in the mail from Chronicle Books. 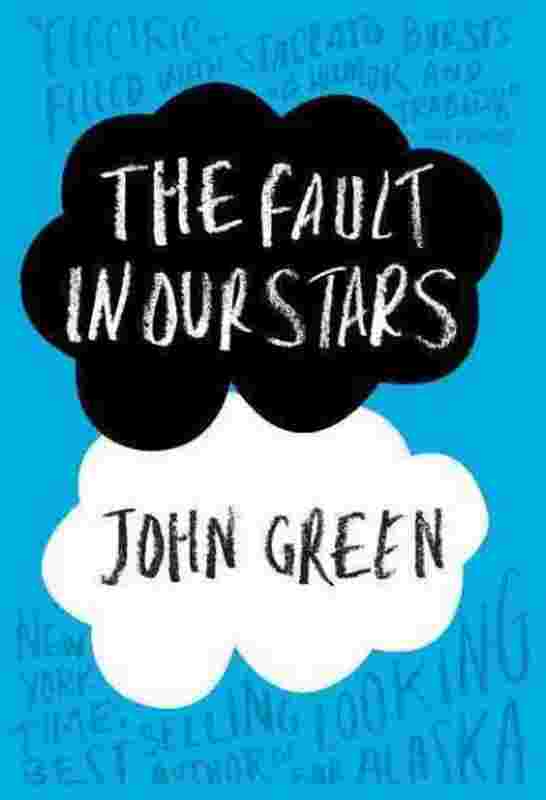 I LOVE LOVE LOVE this book! It is a very sweet story of friendship and the expressions on the little girl's face make me happy. But there is an added feature to this book--there are flaps to lift throughout the book! 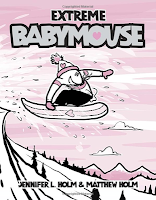 (Molly is a new author for me so I am excited to check out more of her books! She: "Are we ignoring the Newbery this year?" Me: "Kinda. 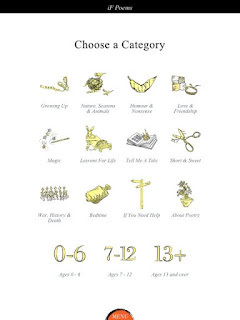 I'll do a 'Newbery Surprises' post on Tuesday because all the winners will be new to me. I've read it three times (self, aloud to fourth graders, aloud to fifth graders). And right there on my picture book shelf were the Caldecott and several honor books! ...and we just confirmed the Coretta Scott King Illustrator, Bryan Collier for the 2014 Dublin Literacy Conference. 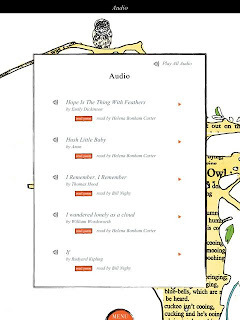 I listened to the Odyssey Award winning audio book. ...and this one needs to be read by every high school and college student. 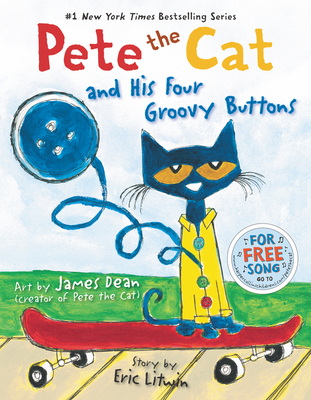 Pete the Cat, with his attitude ("Did he cry? Goodness NO!") and his Zen-like reminder that "Buttons come and buttons go," made the Geisel Honor list. So the biggest surprise that came with this year's ALA Youth Media Awards? How many I know, and own, and love! For all the winners, check out ALA's Official Press Release. For more It's Monday! What Are You Reading? 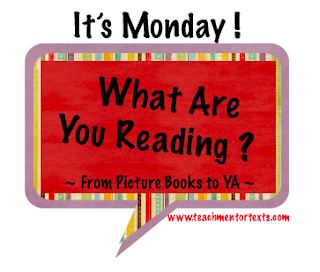 posts, visit Kellee and Jen's blog, Teach Mentor Texts. Nancy Gilson, features editor at the Columbus Dispatch, asked me if I had a group of students who would like to help compile the Dispatch's yearly list of best children's books. (I've been on the panel for several years now.) Boy, do I ever! About twenty fifth graders from across the entire grade level have signed on to read as many 2013 books as they can this year -- including through the summer and the first couple of months of middle school. We keep in touch and share opinions on a Kidblog blog. Many of them have also joined Goodreads. 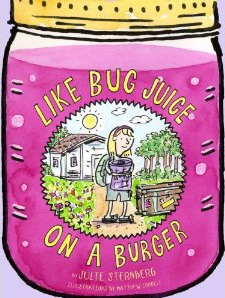 That's another post for another time -- what it's like watching voracious kid readers use that site as their reading playground. We took an after-school, parent-drivers "field trip" a couple of weeks ago. We visited the two library branches the kids are most likely to use, met the librarians, located the reserve areas, and a couple of students who didn't have one yet got a library card. Then we trekked down to Cover to Cover Books for Young Readers. Sally, the owner of CTC, generous to a fault, had a cart heaped with 2013 ARCs to give to the student-readers! We've also received ARCs from Abrams, and review copies from Groundwood and Kids Can Press. Great fun! 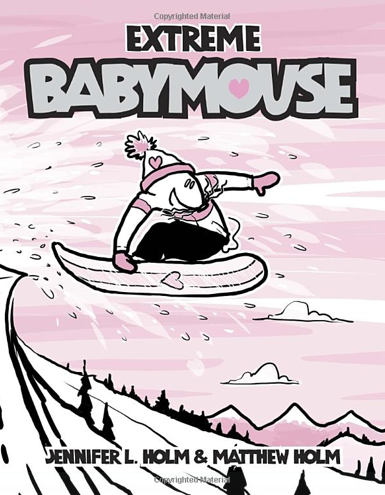 It was January 2005. As always, I was very excited about the announcement of the Caldecott and Newbery Awards. There was no social media and we had not started blogging....yet. Mary Lee and I had our own little conversations and predictions and we were pretty much never completely right. But, on the day that Kira-Kira was announced as the winner of the Newbery Award, I was totally annoyed. Not only had I not read the book but I'd never even HEARD of it. I could not figure out what the committee had been thinking... I had spent my whole year reading great children's literature and making predictions about what might win. I understood that my pick probably wouldn't win, but to have a book win that I'd never heard of was quite heartbreaking. As a dutiful 5th grade teacher, I bought a copy of the book (hard to find since no one seemed to have it on their radar) and read it in a sitting or two. I read it quickly so I could bring it into my classroom. It was okay. I enjoyed it okay. 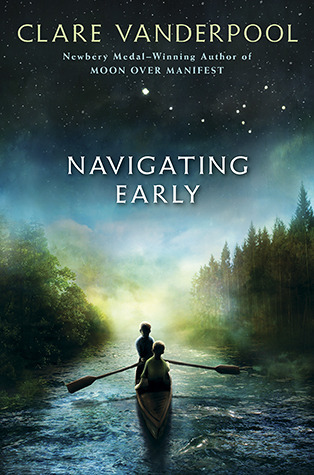 I didn't love it and I certainly did not think it deserved to win the Newbery. The next Monday, I brought it into class. 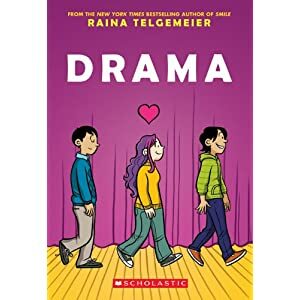 I did a semi-pathetic book talk and said to my class, "This is the book that won this year's Newbery. I read it this weekend. It was good. I didn't think it was great but it was good. 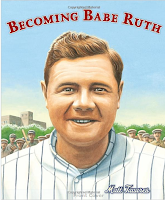 I am not sure why it won the Newbery, but it did. If you want to read it, here it is." (maybe not that pathetic, but close!). Well, one of my avid readers, Katie, jumped on it. She said she wanted to read it and off she went. About 3 days later, Katie requested a conference with me. She came to the table with my copy of Kira-Kira filled with sticky notes. She said, "Mrs. Sibberson, I think you need to read this book again. You said you didn't think it was that great but I started marking these amazing lines in the text and look at how many there are! 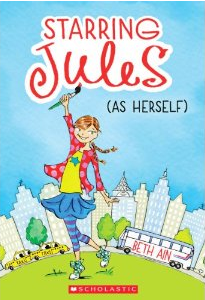 I think you must have really missed a lot of this book because it DEFINITELY deserved to win the Newbery." I have since reread Kira Kira (as did many other students in that 5th grade class) and it is one brilliant book. It is a book that has stayed with me for years and years and years. I am now a huge fan of the author and am dismayed with myself for not being open to the book during my first read. 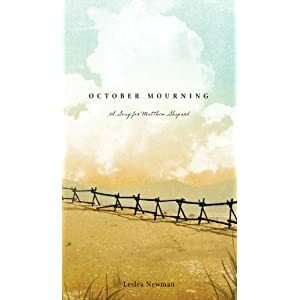 Instead of being annoyed at it winning, I should have been thrilled at the chance to discover a new book that I had not known about before the award announcement. And I have Katie to thank for helping me see what I could not see on my own. So, every year at this time, especially on this day, I thank Katie for everything she taught me that day. She taught me about books and awards and about being a reader. 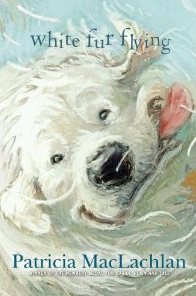 It is on the eve of the ALA announcements, when I am wishing, wishing, wishing for my favorite books to win awards, that I try to remember to be open-minded and to celebrate the winner--no matter what happens. I remember that I may have missed lots in a book that others could see so clearly. I remember that there are so many good books and I love the journey of discovering them far more than I love award day. And I remember that no matter which book wins, this is another great opportunity to have amazing conversations with fellow readers. Thank you, Katie and Happy Newbery Eve, Everybody! 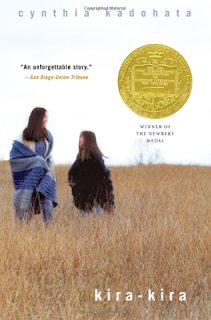 (And to help you understand tomorrow's decision a bit better, don't miss Monica Edinger's post at Nerdy Book Club, Top Ten Things You May Not Know About the Newbery Award. 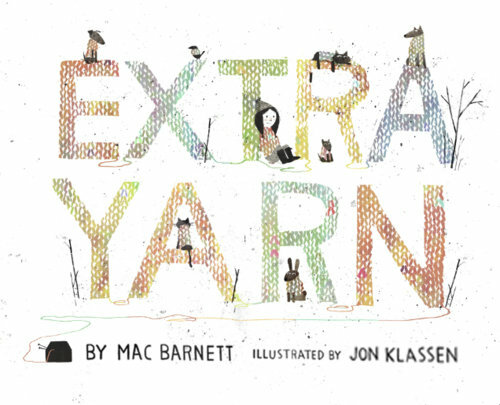 On Friday, NCTE announced its Orbis Pictus Award for Outstanding Nonfiction for Children. The winner was Monsieur Marceau: Actor Without Words by Leda Schubert. 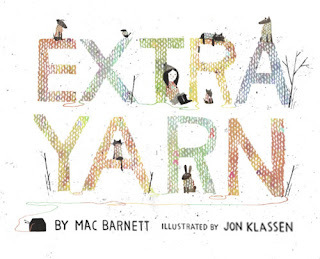 I had not seen the book before so I am thrilled to discover a new nonfiction picture book! If you have not had time to visit the Orbis Pictus site, there is also a list of Orbis Pictus Honor Books as well as a recommended nonfiction book list. 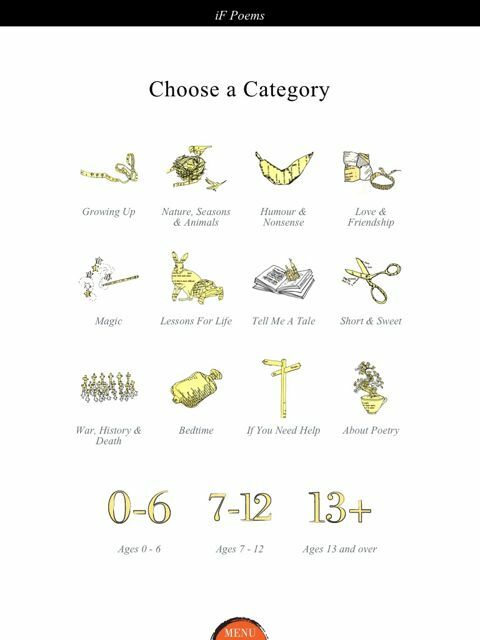 This is always an amazing list for nonfiction for children and I always look forward to reading many books on the list. Yes, it's true. 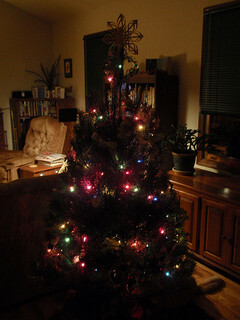 Our Christmas tree is still up. It still makes us happy every day. It's time, though. We know it's time. We'll say goodbye this weekend. Tabatha has the Poetry Friday roundup at The Opposite of Indifference this week. I joined Google Plus right away when I first got an invitation. I played around a bit but never got to involved with it. Then at NCTE, Bill Bass told me I needed to do more with Google Plus. When I pushed for what it had to offer that I didn't already have access to in my other social networks, he said, "Google Hangouts". I went home and didn't think much about it until it was time to write our NCTE 2013 Convention proposal. Bill organized a Google Hangout for the three of us writing the proposal (Ann Marie Corgill, Bill, me). Since that first Google hangout, we've met about our proposal, I had other meetings for projects scheduled and in our classroom, we had a visit from Ruth Ayres via Google Hangout. In January, I have participated in several Google Hangouts and I am hooked! If you don't know anything about Google Hangouts, they are similar to Skype--real time live chat to whoever you want to talk to in the world. But Google Hangouts provide for lots more than just a live chat. First of all, you can chat with a group of people. From what I understand, one Google Hangout can accommodate 7-8 people. At first I thought this was overwhelming but the talk that you can have with a group from all over the world is definitely a plus. I have had many conference calls in my life but to sit and see people and talk as if you are all sitting in the same room makes a difference in the thoughtfulness of the work. There are also ways to work on a Google Doc together in a Google Hangout. So, if you are creating a proposal or a piece of writing or a presentation, the Google Doc can be shared in the hangout and participants can work on it live in the Hangout. It is easy to share Google Docs and other things from your screen directly to the Google Hangout. I see huge potential for Google Hangouts with classrooms. Connecting a few classrooms for an event or conversation could be really powerful in helping kids see the connectedness and globalness of our work. And then there are the "toys". The sound effects and props that are just plain fun. Katie DiCesare was at my house working on something a few weeks ago and so we visited a bit with Ann Marie via Google Hangout. Since it was new to us all, we played around with the props. For a very long time. The playing part was very fun and we realized Google Hangouts are not only great for professional work but great to just visit with friends who live far away. Ann Marie, Katie and I playing around with the props in a Google Hangout! I am a phone girl. I like to talk while I am doing 10,000 other things walking around the house. But Google Hangouts has helped me realize the power of live chatting--how much better the conversation is (whether I am working on a project or just visiting with friends) when we are kind of sitting in the same room. 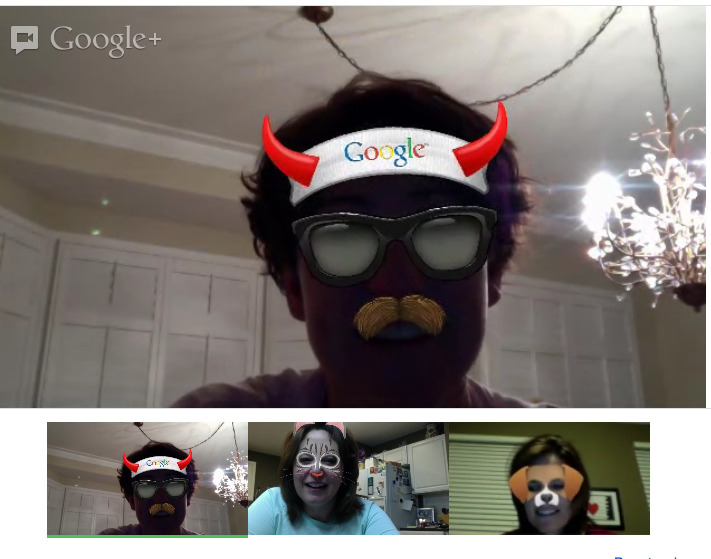 If you haven't had time to try out Google Hangouts, I would definitely give it a try. I picked up the book Smarter Charts K-2: Optimizing an Instructional Staple to Create Independent Readers and Writers last month. Although it is a K-2 book, it has helped me think about the ways in which I use charts in my classroom. I love charts. I think they matter in classrooms for so many reasons. I love that they capture our thinking and make our thinking visible. I love the anchors they provide for conversation. I love the things they say about the thinking we are doing. 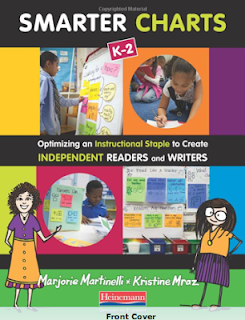 This book helped me rethink and build on what I already know about the power of charts.by Marjorie Martinelli and Kristine Mraz a last month. Although it is a K-2 book, it has helped me think about the ways in which I use charts in my classroom. I love charts. I think they matter in classrooms for so many reasons. I love that they capture our thinking and make our thinking visible. I love the anchors they provide for conversation. I love the things they say about the thinking we are doing. This book helped me rethink and build on what I already know about the power of charts. The authors of this book are grounded in good instructional practice. They understand literacy and great classrooms. They understand the power of charts. But they have also taken the time and energy to take apart the the design, language, tools, etc. to make the charts in your classroom more purposeful. This is a happy book too. The colorful cover is the first clue. The authors' photo on the back also tells you that this book will be a fun read. The charts are colorful and fun to look at and then to learn about. There are photos throughout the book that make the book a quick read, but one that you want to revisit. After reading this book, I realize that all of my charts look the same. Oh, I may use a different color marker or it may be set up a little big differently but the teaching factor of the creation of the chart is missing. The interactivity with kids is often not as purposeful as it should be. And I tend to use charts mostly within the whole group setting. 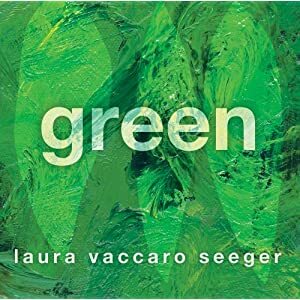 With the classroom examples and tips from this book, I can see change happening for my classroom charts! And although the focus of this book is literacy, it has sparked me to think about more purposeful ways to use charts in math. The authors of this book also have a great blog called Chartchums. Love when I can keep learning from authors after I finish their book. I know we already reviewed Open This Little Book by Jesse Klausmeier (illustrated by Suzy Lee) and we even gave one away for our 7th Birthday Celebration. But I just received this great video that shows the brilliance of this little book. Enjoy! This book makes me happy! And if you want to see how much kids love it, go over to Colby Sharp's blog , you can get a sneak peek of Mr, Sharp's children enjoying the book while he shares his thoughts on his Newbery Challenge book A Gathering of Days. Some have audio, so you can listen. reading one of the poems! Violet has the Poetry Friday roundup today at Violet Nesdoly / Poems. My love of 5th graders is a little on-again off-again these days. You know how they get; what it's like to try to keep their focus. But you also know about their razor-sharp wit and their amazing insights. 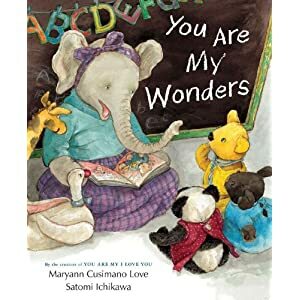 I need to read this book every day so that I can remember that they are truly my wonders. you are my school child. you are my running wild. you are my wide eyes. Really. I need to read it every day. And did I mention how much I wish I had written this book? George O'Connor's series of graphic novels about the Olympians have taken my classroom by storm. In each of my classes I have a student who is deeply interested in mythology (one boy, one girl), and there are lots of others who enjoy mythology because of the Percy Jackson books, but there are plenty of others who are simply attracted to the "super hero" factor of these characters: Zeus, Athena, Hades, and Hera (so far). I'm going to have to start a sign-up sheet for Poseidon, I'm sure. 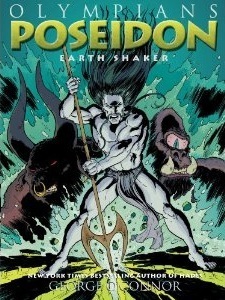 When I finished this book, I said to myself, "Poseidon is a really hard character to understand." And then I read George O'Connor's author's notes, and he said pretty much the same thing. The author's notes really helped me to understand the book better, and they sent me back into the book to re-read some parts. The sequence when Theseus, Poseidon's son, goes into the labyrinth to kill the minotaur is absolutely brilliant, graphically. That's what I like best about George O'Connor's books -- the combination of great art and good storytelling. I created this list of questions a year or two ago as I thought about the idea that a digital reading or writing workshop was not about one unit of study or the idea of letting kids read ereaders. That as we figure out how the whole idea of reading has expanded, are we making rooms for all kinds of reading in our classrooms. I revisited this list last week as I am thinking about the ways in which my students use digital tools and the ways in which they are growing as readers and writers. Definitely questions I'll come back to that help me think about the messages I am giving students about what counts as reading these days. As always, I feel pretty good when I ask myself a few of these questions and with others, I have work to do. 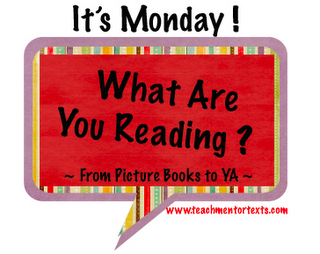 What role do digital texts have in your reading workshop? Do I choose to read aloud only texts from traditional books or do I share digital texts, audio books, blog posts, etc. during read aloud? Do we use web resources such as author websites and book trailers to help us dig deeper into the book we are reading? Do I read aloud from websites and blogs? 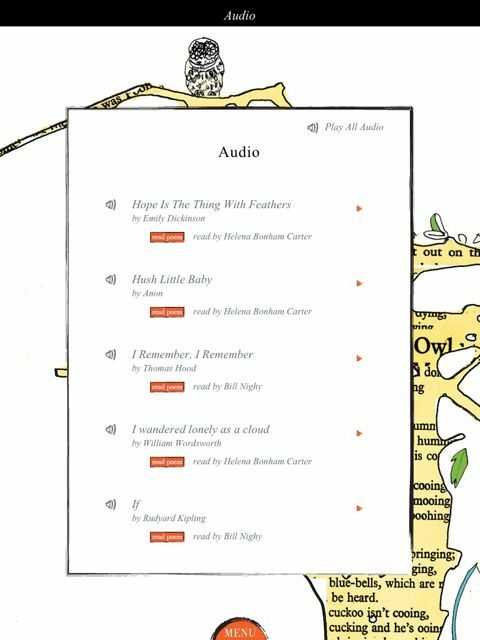 Do I utilize keyword tags, comments, links, and search features while reading aloud? Do we use online resources for book previewing and book selection? Do I limit students' independent reading to traditional books or do they have a variety of options for their reading time? 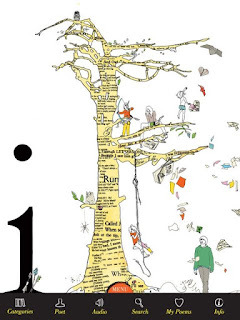 Do I place equal value on reading on e-readers, reading websites, reading short pieces, etc. as I do on reading traditional books? Do I help my students use online tools to support their lives as readers? Do I value annotation tools, bookmarking tools, RSS feeds, etc. as part of my readers lives? Do I model these tools in minilessons? Do I introduce digital pieces and discuss digital reading when conferring with students? Have I updated my reading interview to include questions about digital reading? Do students have ways to add a social component to their lives as readers? Are they connected to others because of their reading? Do I use digital pieces, as well as traditional texts when teaching minilessons? Do I rely completely on traditional text or do I use film clips, blog entries, podcasts, etc. when planning minilessons? Do I share process in my minilessons? Do I tend to share process only as it relates to creating text-based pieces? Do I teach minilessons that are universal, regardless of format of piece? Do I share my own process, consuming and composing in several types of media? Do I use minilesson time to demonstrate tools tools that support deeper reading with a variety of texts? Have I reflected on the resources I rely on for Shared Reading? Do I include web reading and viewing when thinking about Shared Reading experiences? How can I include a variety of texts for students to process through together? Have I found sources for content reading that go beyond textbooks and traditional text? Do I rely on newspapers for talk around current events or do I tend to focus more on sites like DOGONews, Time for Kids, and other sites that combine text and visual features? How am I supporting the importance of visual information in the content areas? Thanks Jen and Kellee at TEACH MENTOR TEXTS for hosting IT'S MONDAY! WHAT ARE YOU READING? I finally feel like I am back in the habit of consistent reading. H.I.V.E. by Mark Walden was my #bookgapchallenge book that was assigned by Tony Keefer. I enjoyed the book although I did learn that I am not a fan of "assigned books" so being a little bitter as I read did not help. I don't often read plot based adventures so Tony thought this would be a good one for both Katherine and I. I enjoyed it and shared it with my 4th graders right away. It is a good adventure for kids looking for a new series. Nelson Mandela by Kadir Nelson is a gorgeous new picture book biography. I love anything by Kadir Nelson and was thrilled to see this new one. Twelve Kinds of Ice by Ellen Bryan Obed was a huge surprise to me. I LOVED it and wasn't really planning too. I had heard so much about it that I wanted to read it but couldn't figure out what all of the hype was. The book is gorgeous. It is about ice but also about family and tradition and home. The writing is gorgeous. 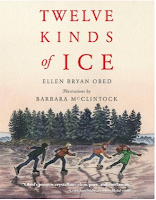 I am not sure this is one kids will pick up on their own but it is definitely one I hope to share--so many possibilities with this as it is a pretty amazing book. Endangered by Eliot Schrefer is a YA book that has been on my TBR stack for a while. I enjoyed it. 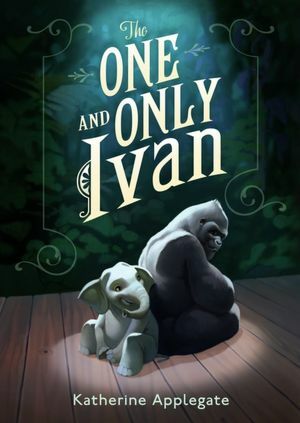 It is a great story about a teenage girl and a bonobo that she befriends in the Congo. Chu's Day by Neil Gaiman is a new picture book that younger kids will enjoy. A Splash of Red: The Life and Art of Horace Pippin by Jen Bryant and Melissa Sweet is another picture book biography that I am happy to have in my collection. 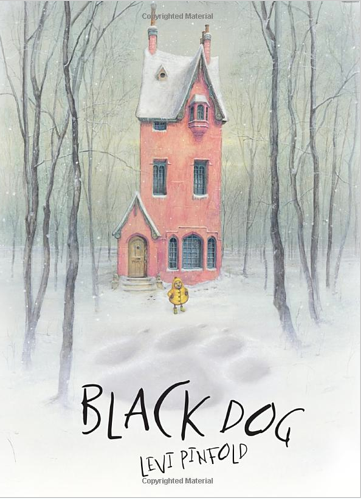 Black Dog by Levi Pinfold is becoming a new favorite. Every time I read it, I love it a little bit more. This is definitely one I'll share with kids in the next few weeks as we talk about theme. Such a sweet story with a big message. 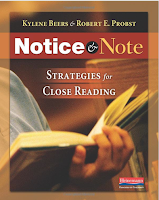 I am currently reading Notice and Note: Strategies for Close Reading by Kylene Beers and Bob Probst. I am trying to take my time so I can take it in. 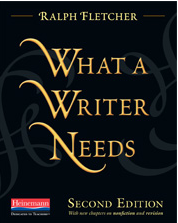 If I speed through it, I am afraid I will miss some of the brilliant things the authors say. This is definitely a must-read for teachers in grades 4-12. Lots of important thinking here. 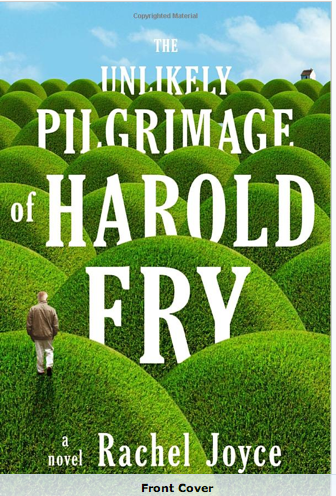 My friend, Larry Swartz recommended the adult novel, The Unlikely Pilgrimage of Harold Fry: A Novel . I ordered it immediately because Larry knows books and I started it yesterday. Love it so far but a little worried about having started it. I don't have much reading time this week and this is not one I want to drag out! I'd love to sit all day and read it cover to cover but I know I can't. Wow. How did I not know about this?